Hopefully Radiohead fans were as ambivalent as the band about the Rock and Rock Hall of Fame: They will not be inducted into the class of 2018, but perhaps they willed themselves out of the running, having disregarded the ceremony by scheduling a South American tour that conflicted with it. Despite the snub, this round is rostered with a powerhouse of inductees. Stadium jammers Bon Jovi made the cut after being nominated for the second year, along with new-wave vanguards The Cars, who were nominated for the third year. 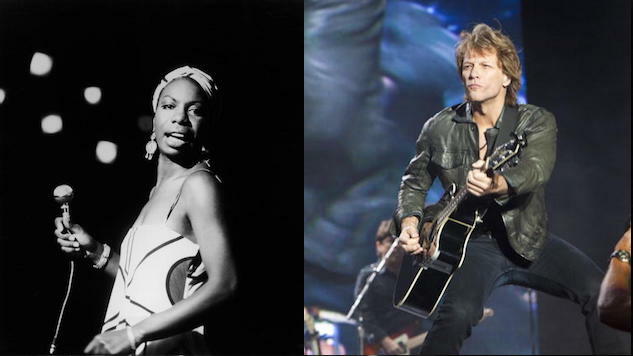 First-time nominees Dire Straits, The Moody Blues and Nina Simone were also inducted, as well as Sister Rosetta Tharpe, who will be given an Early Influence award. The induction ceremony will take place April 14 in Cleveland, Ohio. Artists become eligible for the award 25 years after releasing their first single or album. A committee of over 900 artists, historians and music industry members, as well as fans, determined next year’s Rock Hall class. See the complete list of nominees, including artists other than Radiohead who didn’t make the cut here, and check out some performances from 2018’s inductees from the Paste Cloud below.